Ready to make understanding file types a breeze? 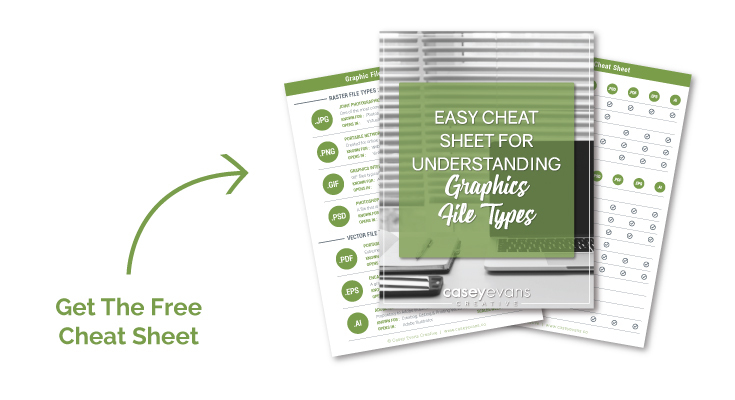 My super easy cheat sheet provides a quick explanation of the most common graphics file types, plus a handy reference chart so you know exactly when to use each one! You're going to love my awesome cheat sheet! "Your cheat sheet is seriously the most clear and easy to read version I've seen. Thank you for this, you really go above and beyond!"